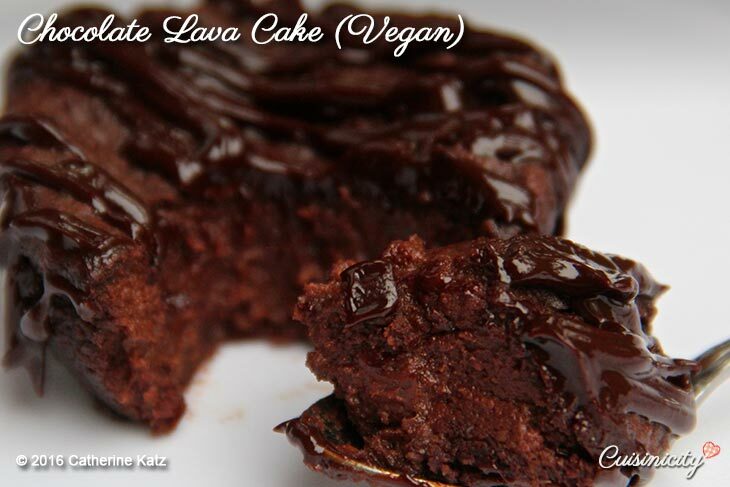 Just take a look at this luscious, melt-in-your-mouth decadent rich dark chocolate lava cake! Death by chocolate, you say?…Nope, you can enjoy this one without the guilt! There is nothing unhealthy about it, quite the contrary, in fact: It has no extra added sugar, it is vegan (gluten-free & soy-free too) and it is filled with wholesome plant-based ingredients rich in fiber, protein, minerals and omega 3’s: dark chocolate, sweet potato, black lentils, walnuts, flax meal, and medjool dates, THAT’S IT: 6 ingredients! The beauty of it is that you can’ t even taste these individual ingredients….other than the creamy dark chocolate, of course! Even I cannot believe how extravagantly delicious this chocolate lava cake tastes! So many of you have been trying to guess the ingredients, well now the word is out…enjoy to your heart’s content, quite literally! * you can refer to my simply sweet potato recipe for baking instructions, below if needed,or you can use ⅔ cup canned pureed organic sweet potato (no added salt or sugar). You can make the black lentils from scratch if you prefer, just follow package instructions so you end up with 1 cup packed cooked lentils (drained). alos, if strictly vegan, make sure your dark chocolate doesn't have added milk. Break the dark chocolate into large pieces and place in a microwavable cup. Heat for 1-2 minutes on high until melted, stir and set aside. Place the walnuts & pitted dates in the bowl of a food processor and grind well for 30 seconds. Add the mashed sweet potato, drained black lentils and diluted flaxmeal (with the water) to the date/nut ground mixture and pulse a few times, scraping the sides of the bowl in between to make sure the "batter" is very smooth. Add the melted dark chocolate and process for an additional 20-30 seconds until creamy and smooth. Line a muffin baking pan with 12 silicone cupcake liners or individual porcelain ramekins (2.5 oz) lightly greased with a little canola oil ((so that you can later easily unmold them onto a plate) and scoop the batter in so that each is ⅔ full. Bake in preheated oven for 15 minutes (It's OK to underbake as this is a vegan recipe and the middle doesn't have to be fully baked). Let cool, then gently run a knife around the perimeter first before unmolding onto a small plate. 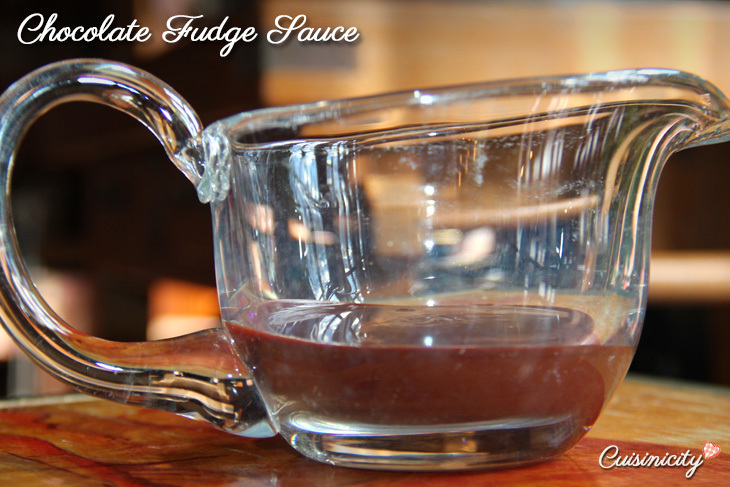 Drizzle with a little chocolate fudge sauce from a squeeze plastic bottle (see recipe link below). I like to have them ready to go, unbaked in the fridge and I just throw them in the oven right before dinner time for 15 minutes, so that they are perfectly warm and melting by the time dessert comes around! You can keep them in the ramekins or unmold them onto a little plate, like I did for my holiday party this week…. and they will completely wow your guests!! Click here for baking instructions for the sweet potato. 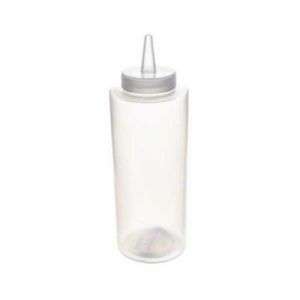 It’s easiest to drizzle the chocolate fudge sauce from a plastic squeeze bottle. You can find it at any supermarket, in the tupperware isle. « Savory Galette Dough in Seconds! through your articles. Can you recommend any other blogs/websites/forums that cover the same subjects? These are absolutely amazing, and very easy to make. I was very skeptical of the ingredients, however, now I’m a believer! The cakes come together in a couple of minutes, and they are very chocolatey, moist and fudgy – couldn’t ask for anything more! I didn’t have walnuts, flaxmeal, dates, or sweet potato so I had to improvise (pistachios, raisins, and pumpkin), but they were still delicious! It somehow made 20 cakes instead of 12, but I have no problem with that! spin on a topic that has been discussed for ages. Hi Alyssa! The dessert that I made for the viva fresh expo was my creme au chocolat, not my lava cake. Here is the recipe for you: http://cuisinicity.com/baked-chocolate-custard/ Enjoy!! Hello how do I know when the batter is smooth enough? I’m using lentils from scratch, and I can still see them… How much should I “pulse?” Thank you! Hi Teresa, As long as the lentils are cooked through, they will disappear quickly into the batter when you put them in the food processor. it sound like you might have undercooked them. You can also use canned drained lentils. I finally, finally got around to make it… It was rather difficult to find sweet potatoes here, then when I had them to coordinate with dinner the night before ( back in Houston, l definetly would have used a can for that reason). 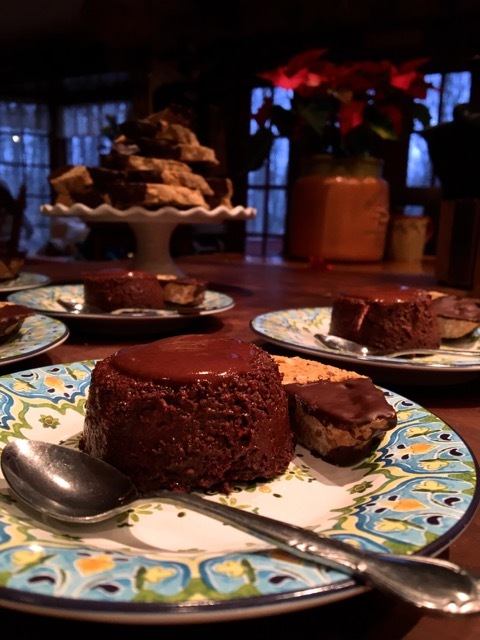 My mother in law and her twin sister are here to visit, and they were absolutely in love with the decadent chocolate lava cake, and could almost not believe that it is mostly healthy ;-). I am on a mission with them, that eating better can be yummy, not too laborious and healthy. So I mainly cook your recipies when they visit. Well even when they are not here you are a frequent guest and inspiration in our kitchen. I not only cook your recipies, but when I creat some I often use some of your concepts like adding lentils to create creaminess in soups etc…. This was great but not quite sweet enough. I had to use deglet dates as my market didn’t have medjool. Wonder if this was the difference. Also, my small sweet potato didn’t quite come to 2/3 cup. Perhaps that’s another reason it wasn’t sweet enough? The volume of lentils is clearly flexible as a 15 ounce can comes to more than a cup (the suggested amount to use if you were making the lentils from scratch). My 12 muffin cups ended up being full (not 2/3s full), but there was no problem with overflow. Love the serving size. It is small but the richness makes it right. The sauce was super too. This is the first Christmas we’ve had a family member who is vegan and your recipe was a welcome adventure. I’m a HUGE chocolate fan. This looks a lot healthier than most so I’ll give this a try. We seem to be on the same page. 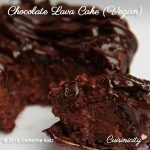 I recently posted my favorite flourless chocolate torte recipe on our site (http://vitamedica.com/wellness-blog/flourless-chocolate-torte/). Great minds think alike? Hey, combine with a glass of red wine and you’ve got your day’s worth of flavonoids :). It is beyond tasty! Thank you so much for this recipe. I have not expected black lentils and sweet potato turn out so well together. I wouldn’t even attempt to make this sumptuous looking cake!! I would never be able to stop at just one-ha!!! Will you please clarify the amount of lentils used. Would one 15 oz can be almost 2 cups? Yet if you prepare them from scratch, you only need one cup? Hi Sharon, it’s equivalent to 1 cup (packed) as I specified in my note. Two questions: Are these baked as cupcakes or as one large cake? Do you have a calorie count? I just did an estimate in the LoseIt! App where I record everything I eat. The entire recipe comes out to approximately 2,439 Calories, with 157.7g of fat, 70.7g saturated fat, 0 cholesterol, 46.6mg sodium, 280.1g carbs, 46.8g fiber, 169.4g sugar, 41.9g protein. Divided by 12 is 203 Calories, 13g fat, 6g saturated fat, 0 cholesterol, 4g sodium, 23g carbs, 4g fiber, 14g sugar, 3.5g protein per serving. 9g of sugar is from the chocolate, which is added sugar, I think. The dates are the other 5g. MUCH better than the restaurant versions, but don’t eat more than one! Thank you Aria!! WOW, as expected, very impressive!! Also would be nice to get the respective totals of MUFA,PUFA and omega-3 healthy fats. 207 calories for a decadent tasting cake (and nutritious) is absolutely outstanding! Thank you so much for taking the time to do the calculation, it’s the beauty of having a simple and short list of wholesome ingredients! WOW!! What is MUFA and PUFA? Also, I used a 145 Calorie per oz 60% dark chocolate. It may be possible to find a brand of chocolate with less Calories, and thus less sugar or fat. Aria, Mono-unsaturated and poly-unsaturated fat both healthy fat and I should mention that the saturated fat in the dark chocolate is largely stearic acid, also healthy. Wow. Just took this out of the oven. Decadent barely scratches the surface. We have been slowly but surely eliminating processed and sugar-laden foods from our family’s diet. It’s recipes like this that has made the transition so easy! Thank you! Thank you for your lovely comment! I think the walnuts are a wonderful addition, both culinarily and nutritionally BUT if your husband is allergic to them then, I agree you are probably right, ground pine nuts, sunflower seeds or I was even thinking ground pistachios might work as well. Please let me know, if you try it and it turns out just as FABULOUS too and I will share with my followers who are allergic to walnuts. 🙂 What’s TIA? Catherine I love you so much…TIA means thanks in advance. Yes Sam, you could, but, as much as I love pumpkin for many other recipes (I use it all the time) I don’t like it as much for this particular recipe because its flavor is a little less subtle than that of a sweet potato so that it won’t let the dark chocolate predominate the way I love it here. Also, pumpkin is slightly less sweet so you may have to add another date to sweeten the cake a bit more. Finally I don’t like its texture as much for this particular recipe as I do the sweet potato’s….so what I am saying is, yes you could, but why would you, when this is just perfect the way it is!! If it’s an issue of convenience, you could use canned sweet potato but I find it a little too “liquidy” for my taste. In the end, it’s just a question of throwing a sweet potato in the oven and having it ready to go, and it is so worth it! 🙂 I hope this was helpful! Looking forward to more guessing games Catherine. Oh My!! Does this ever look good! Can’t wait to make this! Can’t wait to make this!! You stumped me too with the walnuts. It was a lot of fun guessing though! HAHA Carleen, yes, I loved it!! You will not believe how decadent tasting it is!! 🙂 Cant wait for you to report back!!! Remember to rate with the little hearts! YAY Tracey! I am so excited about this cake! Please let me know if you LOVED it!! 🙂 (I am so sure of myself here!! HAHAHA!) oh and if you DO love them, don’t forget to rate with the little hearts! I’m really going to have to get a food processor, maybe Santa will be kind this year, I used my Bullet & hand mixer. It didn’t get smooth enough & kept jammed in the blade’s of the bullet. So it didn’t bake properly. But it did have a good flavor. lol I know it’s delish !! !